Macarons have become serious business lately. And, no I'm not talking about the coconut dollops ("Macaroons"). 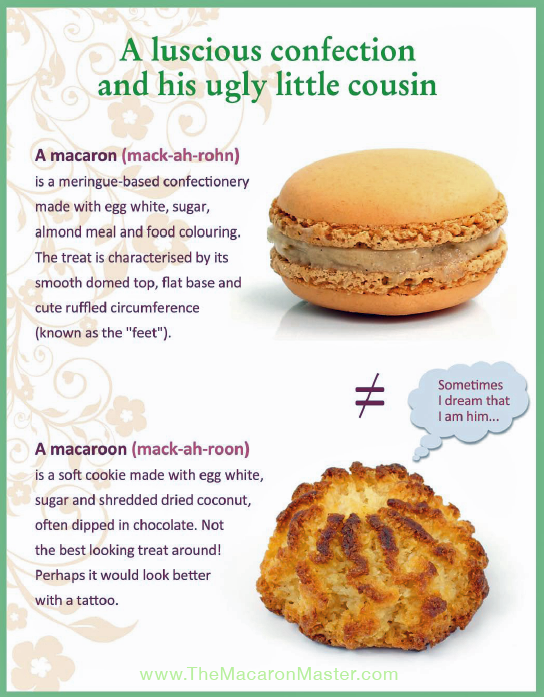 Instead, I'm talking about the French delicacies ("Macarons" which sounds like MacaRONS or MacaRONES). They are meringue-based confections made with egg white, icing sugar, granulated sugar, almond powder and food coloring. The macaron is filled with ganache, buttercream or caramel (my favorite!) between the two cookies. 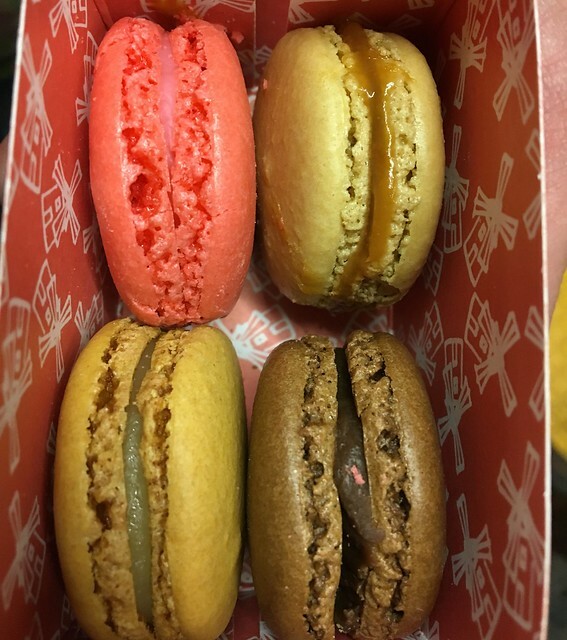 While we had our fancy lunch in New York City, Josh was actually taking a class at Mille-Feuille Bakery on how to make these macarons. And, he brought us some from Mille-Feuille back! So, I didn't get the chance to visit this bakery, but I did get the chance to gobble down some of this macarons! I can certainly see why people are on the macaron train. The texture is so much different than I would've imagined. I've only have a few of these before, and these were by far the best. It is just a a light crumble-melt-in-your-mouth characteristic that makes me want to eat 1,000 of these. I had the caramel one, which was heaven. An actual layer of caramel in the middle. And I also had the rose one - which tastes like, well, rose. They're pricey. So make every bite count.